I made a new episode of Beyond the Gallery with my friend Ann Cunningham, and it’s a conversation that I really think you’ll enjoy. 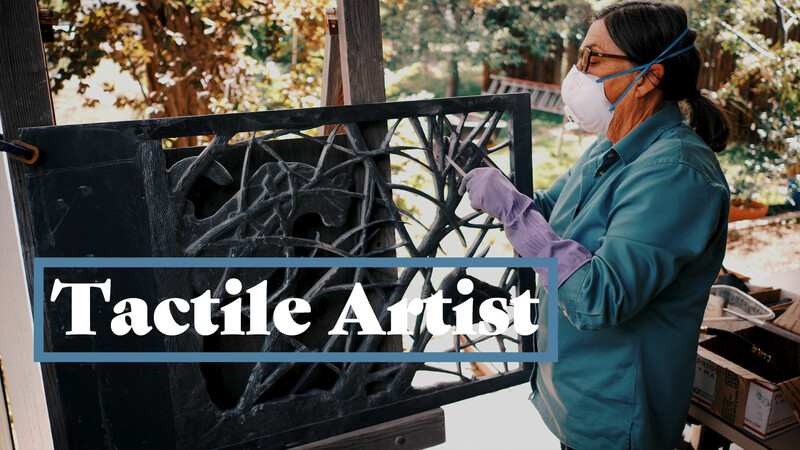 Ann is a tactile artist based in Golden, CO, and she sculpts in stone. On this episode we talk about growing up in Oxford, MI, going from public art to tactile art, creating access to information through touch, taking risks in creative work as an artist, and more. And yes, you read that right, it’s in fact a conversation. So if Beyond the Gallery were a podcast, it’d be this. This is a new format that I’m playing with for the show, and I’m so grateful to Ann for exploring and playing with the format with me (thanks Ann!). Please find more of Ann’s tactile artwork at acunningham.com, and visit sensationalbooks.com to learn more about her work creating access to information through touch. This month – October 2018 – marks my 10th year in business. I’m so excited to celebrate 10 years serving and supporting artists and creatives. As of this season, we’ve made more than 50 episodes of Beyond the Gallery. To celebrate, this episode with Ann (and the upcoming episodes with Taiko and Kevin, too) are a chance to play with the format of the show.